After Chris' excellent idea to obviously give Forza 4 the space it deserves I've been doing lots of digging. Dan from Turn 10 was given lots of interesting 'snippets' of information without going indepth about each one. Here are some really interesting points - maybe not just for me, but others too. There are also points here that maybe I don't find interesting, but feel some of you may! - You can even play through SP 'without' progressing via event after event! - Track days have you racing with the sole purpose of passing as many cars in a single lap, it'll adapt/improve the AI too! - AND by petrol heads to give them voice control over actions within the game which will shortcut the system and save time! Please free to update this topic over the coming months leading to the early October release. We have many areas to learn even more about. We certainly have an awesome Forza coming to our screens and from a SpeedFreaks point of view. Already I can see some interesting tools that'll make creating future TTC projects less labour intensive, which will be awesome. It'll mean more time can be spent playing than ever before!! Feel free to chuck specific text based news in here. I'm really excited about this, and I reckon for good reason too!! I don't see the model taking over GT5, but once again as a complete game - and from the clear enhancements - Forza 4 already rocks! The other day I bumped into a mate I've known for years. He had a mag called 360 - which had a Forza 4 World Exclusive on its cover. I flicked through the pages, reading a small amount of text and concentrated more on the images. It spanned 12 sides of A4, so I knew that I'd look to buy it and read it all. World Tour - Career mode gets a revamp: In place of the std career mode seen in FM3, comes World Tour. First off, there's more event types available. Where FM3's career mode stuck largely to circuit racing, World Tour will be spicing it up with an as-yet unspecified number of as-yet unspecified race types and challenges. Greenawalt also said that Turn 10 are making the best-looking game on 360! The cars have 3 times more poly's than FM3. You don't see faceting or tessellation. The magazine goes on to say that, the more we look at it though, the more we wonder just how Turn 10 has achieved what we previously thought impossible on current hardware. Because Greenawalt was right, we've not seen graphics like this on 360, nor on any other console for that matter. If you have an almighty save from FM3, you're going to benefit right from the first moment you put FM4 in the DVD tray. Vinyls particularly, will be carried over, so there will be a health bunch of liveries available from the storefronts from day one. More than that though, those who've levelled high and earned a lot of cash will receive bonus cars for their garage. It's Turn 10's way of offering a path into Forza 4 without having to start over again. OK, the second under the hood feature and lots of lovely technical detail here. Welcome to the second installment of our series, “Forza Motorsport 4: Under the Hood”. In this edition of our multi-part interview with Forza 4 creative director Dan Greenawalt, we’re covering a huge amount of material, and nearly all of it revolves around the heart and soul of the Forza Motorsport series: the cars. From a look at profile import, to an in-depth discussion of Forza 4’s new physics model, this installment is for the car lovers out there. Profile import is, among other things, our way of rewarding long-time Forza Motorsport players. How does the system work? What kind of car rewards are we talking about? Based on your Forza 3 driver level, you start your Forza 4 garage with these cars. These are player loyalty rewards. If you have any of the following cars are in your Forza 3 profile’s garage, you start your Forza 4 garage with Forza 4 version of the same car. These cars are community loyalty rewards. Originally (as recently as E3), we were planning to have the entire Event List (and thus World Tour) unlocked from the beginning. This would have allowed you to use any of these cars immediately in your career. However, in playtest, we found that the new tire model took some getting used to. As a result, we locked the higher-class events based on Forza 4 driver level. That said, we made the required driver level for these locked events very low. Also, we sped up leveling in Forza 4. As a result, you can unlock all of the events in just a few hours. Classes B and A unlock at level 5 (very quickly). Classes S and R3 unlock at level 10. Finally, classes R2 and R1 unlock at level 15. Of course, there is no metering in multiplayer or Rivals mode. So, if you want to drive the high-PI cars from the start, you can start your career in those modes. What about my livery designs? How do I bring them from Forza 3 into Forza 4? As all of the Forza 3 cars have changed for Forza 4 (primarily in the form of cockpit, damage, and shader upgrades) we can’t import entire liveries—they just don’t map correctly. However, we do support layer group importing. Layer groups are the car-agnostic groups of vinyl shapes you can create and stamp on any car in Forza 3 and Forza 4. These are not imported with your profile after the first race. These are imported in the livery editor area. You don’t choose which ones to import. It’s an all or nothing deal. You go to “My Designs” in Forza 4 and are automatically asked about importing all groups. If you say “yes,” they all show up in our catalogue. What can you tell us about Forza 4’s new physics? My favorite subject. There have been several key changes to the physics and handling of FM4. The four primary areas of change to the physics model itself are in the tires, steering suspension, and track bumpiness. Let’s get into the details. In Forza, we’ve always focused on our tire simulation. As a result, we’ve struck up multiple partnerships over the years to get tire data. In the past, we’ve worked with Goodyear, Toyo, and Michelin. We also used reference data from the Society of Automotive Engineers (SAE). In past Forza Motorsport games, we even featured tire carcass flex, tire surface heat, as well as tire gas heat and expansion. However, the model was based on a combination of data from all of our previous partnerships. And we had to do fix-up on the data to make all of the different data formatting play nicely together. For Forza 4, we took an entirely new approach to our tire simulation. This time, we threw all of the old data away and asked Pirelli to provide us with all-new data for everything. Pirelli did custom tests on a huge variety of tires to cover all of our cases—including tire width and height, compound, inflation pressure, heat, wear, sidewall height, load, angle, etc. We then changed our system to accept the real-world data directly and without any fix-up from us at all. This means that the tires in Forza 4 behave exactly as the Pirelli test tires did, even in complex situations where multiple parameters are changing rapidly. Just looking at graphs of the Pirelli data versus our Forza 3 data, there are several obvious differences. Unfortunately, I’m not permitted to expound on the data differences. As part of getting this level of access and partnership from Pirelli, we have to keep their data completely under wraps. From a gameplay perspective, these changes are most noticeable as you move load from tire to tire. There is a lot more nuance in the model than ever before. For Forza 4, we changed the steering model in three major ways. First, we spent time watching how quickly real-world drivers (both pros and amateurs) tend to rotate the steering wheel as they turn-in, correct, and countersteer. This led to a change in the steering rate for Forza 4. We haven’t found that this change is really noticeable, but we know it’s more accurate—especially when coupled with our second change. Second, we reevaluated our max steering angles and the system that creates them per car. We were able to use our researched curb-to-curb turning radius in combination with our new tire data (per compound peak slip angle) and other researched parameters, such as track width and wheelbase to reverse engineer each car’s max steering angle. We already had this data researched for some cars, but not for all of them. So we filled in the research gaps. In Forza 4, lock-to-lock steering is far more accurate for every car in the game. Finally, we added the “simulation steering” option. This option removes all of the controller aides. There were very few of these aides on the wheel controller, but there were several on the console controller. With these aides removed, you will no longer get help finding the right counter-steering angle. If you over-countersteer (meaning you overcorrect by steering into the angle of the slide), the wheels do as commanded. This usually results in a wicked tank-slapper. Also, initial turn-in is direct and linear. This can feel very twitchy. When you command the game to go lock to lock-to-lock, it assumes you mean it and lets you live with the consequences. There were a couple of suspension architecture types that we felt could use better research. Specifically, we wanted to rethink our implementation for solid-axle rear ends (again). Once we started looking at the system, we decided to reevaluate our MacPherson, double-wishbone and push-rod implementation as well. We had the overall simulation correct, but we found a better way of researching and simulating the per car differences within these systems. From a high level, this change is most noticeable on the classic and low-end cars. They feel more “boaty.” It’s not necessarily less spring and damping stiffness (though in some cases, it’s that too). It’s how the tire moves in relation to the body and the road. When combined with the new tires and steering, all cars have an entirely new feel in Forza. The “feel” of Forza 4 is also different for two additional reasons: track surface bumpiness and dynamic camera animation. 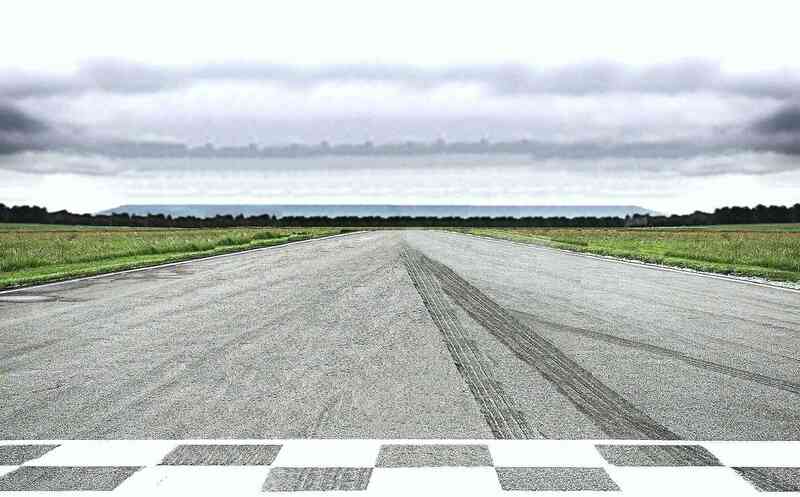 In past versions, we’ve optimized our track surface anomalies based purely on researched data and firsthand accounts from professional race drivers. As you know, we take great lengths to capture track as accurately as possible. What we capture, we recreated to the last detail. And, then we bring in pro drivers to further refine each track. When Gunnar Jeannette or Stéphane Sarrazin or other visiting drivers tell us there are bumps or chatters, we add them. For this version, we added a new pass for all tracks. We evaluated the general age and quality of the track surface for each track and then added bumps around the entire track surface according to our evaluation. Different tracks and different driving surfaces around the track got different levels of bumpiness. However, these are tuned to be realistic bumps and cracks (this means subtle). While they are big enough to affect friction and upset the car, we found that most of the bumps and cracks we added were being absorbed by the suspension and tires before appearing noticeably in the car’s body and driver’s view. In order to make bumps more perceptible, some games make them unrealistically big. However, this simply isn’t accurate and therefore we opted against it. Rather than taking those liberties, we changed our camera system to boost up the perception of the surface bumpiness. We trigger camera animation based on several new layers in Forza 4. We now have layers for accentuating bumps and cracks in the camera, based on the car physics. We even have new layers for heightening the perception of wind buffeting at high speeds. Combined, the tracks are noticeably more bumpy and engaging. What about Performance Index changes? I’m going to get a bit more technical in this explanation. The PI and classification system have been significantly changed in Forza 4. As you know, Forza features a dynamic car classification system we call Performance Index (PI). This system was rewritten for Forza 2 and again for Forza 3. Thus far, each new approach has addressed some big issues and created new ones. For this version, we decided to keep the same general system and refine it based on data rather than rewrite it. This approach was born out of the wisdom we’ve gained over the years through rewriting it—aka “the devil we know.” Forza 3 was incredibly well-explored and exploited by you, the players. Specifically, the community found issues with how the system scored AWD drivetrains and, to a lesser degree, downforce and weight. We took all of the data from our scoreboards and data logs (uploaded to the server, but not visible by players) to help us refine the PI simulation. Unfortunately, we couldn’t realistically address the Forza 3 PI issues with a title update. In order to address PI in Forza 3, we would have had to put an entirely new database out there in a title update. And, the database is larger than what is allowed for a title update. Therefore, the only way to get the new database out would be with a user-selected or “Trojan Horse” DLC. There are many restrictions on this type of DLC. Also, the likelihood of mismatched databases between players is very high. The final straw was this: In order to make this fix, we would have had to wipe all of the scoreboards and “fix up” everyone’s saved games, as well as delete all of the tuning files, ghosts, and replays in the community (including those on the storefront, in your local save game, and those currently installed on all of the cars in your garage). In the end, we elected to study the issues in Forza 3 with better data-logging so that we could hopefully address them all in Forza 4. In Forza 4, the PI and classification system has evolved considerably. First, we changed the simulation track that our PI system uses to evaluate each car. This new track was more scientifically derived. Not only did we look at the Forza 3 data results to find a more realistic stackrank target based on how our community’s fastest drivers perform, we also exported and studied the track geometry from all of our Forza 4 tracks to find a better way to design the PI simulation track. Our goal was to make a PI simulation track that not only better represents actual car stackrank target, but also does so by recreating the types of track combinations found throughout the game. This new track is longer and features more types of corners and combinations. There were also two big changes in the PI simulation itself. Looking at the PI simulation in Forza 3, we found that AWD cars were not accelerating out of the corners as effectively as they would in the real world. This meant that the average speed for their simulated lap was lower—thus they had lower PI. This error was related to the code as well as the simulation track geometry. So we changed the track geometry to have more increasing radius lines to follow. We also changed the code to push the front tire limits more while accelerating (especially for AWD cars). These changes made the AWD cars faster in the simulation. By making them faster in the simulation, they get a higher PI. Obviously, these changes don’t change how fast they are on the track when you’re driving them. This just changes how they are scored by the PI system. Therefore, higher PI simulation results for AWD cars means less headroom for upgrades before hitting the class boundary. On a related note: I saw questions in the community regarding Forza’s simulation of drivetrain loss in AWD cars. Forza 3 (as well as Forza 4) feature both higher driveline inertia as well as higher drivetrain friction for AWD cars, relative to RWD and FWD cars. This system is highly nuanced. Some AWD drivetrains are actually very efficient and some RWD systems are highly inefficient. However, as an average, AWD systems are less efficient than RWD systems in Forza. Drivetrain efficiency was not the source of the AWD PI issue in Forza 3. How many cars and tracks are in Forza Motorsport 4? Forza Motorsport 4 will feature 500 premium cars on Disc 1 and 2. It’s roughly 300 cars on Disc 1 and 200 cars on Disc 2. There are approximately 320 cars carried over and updated from Forza 3 as well as approximately 90 cars carried over and updated from Forza 3 DLC. The remaining 90 are so cars are new to Forza 4. Starting at launch, we are currently planning to add ten cars per month via DLC Add-On packs—this will include the Day 1 American Muscle Car DLC pack (free via a code to LCE buyers) as well as new packs starting in November. There are no tracks on Disc 2. There will be two environments available for DLC on Day 1. Every new copy of FM4 will include a code to download these environments for free: Top Gear Soccer field and Benchmark Test track. We chose not to update a small number of our tracks and ribbons to use our new engine. As a result, there have been two environments cut from Forza—New York and Sidewinder were not updated to work in the new engine. The long version of Amalfi Coast was also removed, though the short version remains with some small gameplay modifications. In addition we have also removed the Bugatti version of Le Mans Circuit de la Sarthe, though players will still be able to race both the full circuit and the Old Mulsanne circuit. In addition to tracks like the brand new fictional Alps track which we showed at E3, we have also added Hockenheim as well as new tracks yet to be announced. At launch, Autovista mode will feature 25 experiences plus the 2012 BMW M5, which will be included as a free downloadable add-on on launch day. We don’t think of these as cars in the traditional sense. Rather, these are automotive levels to explore. Each Autovista experience was chosen based on the type of wonder and diversity it brings to the mode. Each of these cars is extremely rare—most people will never see these cars in the wild. We looked for works of automotive art with amazing history, design, or technology. Our goal was to use Autovista mode to get people to look at cars and games in a new way. Autovista includes four automotive experiences unlocked from the beginning. To unlock the rest you must complete challenges in that particular car. These challenges include things like hot-lapping, car-passing, and TopGear bowling. In addition, two of the Autovista experiences are Easter Eggs. You know about one of them. The other will be revealed soon. To access these two Autovista Easter Eggs, you will need to complete a certain percentage of other Autovista experiences. Forza 4 will also have unicorn cars… lots of unicorn cars in fact. What was the philosophy this time around? In Forza Motorsport, unicorns are unique cars that cannot be bought in the career’s “Buy Car” area. They can only be added to your career garage (and thus upgraded and customized) through the Auction House or as gifts from the Community team. These cars cannot be driven from the common garage that is found in “Quick Race,” “Free Play,” “Split Screen” and “Multiplayer.” They are called unicorns because they are exceedingly rare (it’s a somewhat common video game design term for rare or random items). Before we discuss unicorns, let’s discuss the changes in Forza 4’s Auction House—this is an important component to unicorns in general. Firstly, its layout has changed to more resemble the storefront—this makes quick searching easier. Secondly, unicorn cars now have their own tab in the Auction House, so they are no longer grouped in with the normal community auctions. This makes them easier to browse/find. More importantly, we can more easily swell and reduce the available unicorn offerings on the Auction House as needed without affecting regular player-to-player auctions. For Forza 4, we’ve expanded the implementation of unicorns. I don’t expect the changes to make the feature any less contentious than it was in previous versions of Forza, just more powerful for driving community engagement. In Forza 3, there were three unicorns: the Camaro SS, Scooby S204, and RX7-R. In Forza 4, those three unicorns return. However, if you have these cars in your Forza 3 profile, they will be added to your Forza 4 garage from the start. On top of the three returning unicorns, we have an additional 14 unicorns. It’s a pretty heavy hitting list. In Forza 3, we found that unicorns made great community gifts and allowed us to have strong rewards for motivating community engagement. In Forza 4, we’ve expanded the roster in order to empower more community contests and give participants more reward choices. What can you tell us about night racing and weather effects in Forza 4? Forza Motorsport includes alternate times of day for a small number of environments, but those alternates do not include dark night or weather effects. For Forza 4, the majority of our graphical investment went into our new image-based lighting (IBL) model, as well as new material shaders, which give our cars and tracks such a realistic, detailed look. With IBL, supporting the general look of night is not particularly hard. However, we take frame rate pretty seriously—we believe that having a solid 60 frames per second (FPS) experience with no tearing is very important for a simulation racing game. Delivering night is about more than just getting the general look right. As we found on the original Forza Motorsport, having multiple headlight projections with multiple cast shadows is computationally heavy—even using clever tricks like we did on the less powerful original Xbox platform. This makes delivering a strong night racing experience very difficult at 60 FPS without significant compromise. Regarding weather conditions, we do simulate different track temperatures. However, we did not get tire data for wet conditions from our tire partners at Pirelli. We do have SAE data about wet conditions, but it’s nowhere near as comprehensive as our Pirelli data. In order to simulate wet correctly, we’d like to get custom real-world test data to input into our system. Of course, physics isn’t the only difficult aspect of delivering wet conditions. Creating believable weather effects also depends upon gobs of particles and lots of shiny, reflective surfaces. There are several tricks for doing this, but it would still have made delivering the new graphical fidelity of FM4 at a solid 60 FPS nearly impossible in our development timeframe. If we cut down on the number of cars on track, used original Xbox-generation car models, dropped to 30 FPS, or (and this would be the most effective solution) built specific tracks from the ground-up to have less detail and thus extra performance headroom, then night racing and/or weather conditions may have been possible. Some of those trade-offs, we just were not willing to do. Others would require time that we used to develop other features in the game—specifically, the new graphical look of the game in general. Night and weather are features we will continue to evaluate as the franchise continues. We’re waiting for the right time to deliver these features to our fans. Stay tuned next week as address more Forza Motorsport 4 burning questions! In the meantime, if you’ve got a question you’d like to have answered, send us an e-mail to forzafb@microsoft.com with the subject line “UNDER THE HOOD”. For those with concentration issues, 3 points from the above. Short version of Le Scarthe has also been axed. It's basically down to them not wanting to spend the time building them up from the ground to be part of the new GFX environment within Forza 4!! Whilst missing weather and night driving could be seen as negative, I hate frame rate drops. Despite what Turn 10 say, Forza III did have some. So I applaud their decision to try and focus on 60fps. With Image Based Lighting, that currently pushes the Xbox and their engine to the limit. OK, I recently went on record to say there would be some really cool features I'd like to see. I sent an email to the feedback email address published at FM.net! I take famous cars, tune them, put racing seats in them, create setups to make them handle something like you'd expect (wallowing suspension etc) and lovingly recreating historic paint jobs. Alitalia 131, McRae Tribute 555 Subaru, etc, etc. But it would be great to see true wide bodied, wide-arched cars in the game too. It would at least be awesome to be able to "paint" over the headlight glass. Will you ever add the funtion to add sun-visor strips that painters can create and apply window decals to road cars to make the effect even more realistic? Are we likely to see homologation classics such as the Peugeot 205 T16, 6R4 etc? What about adding spotlight clusters for cars? I realise they'd have to be limited to a dozen generic designs, but that's only the same as being able to fit one of 2 Forza spoilers on any type of car. It would be awesome to see wide-bodied cars such as the awesome Motorsport Audi's of old, some classic BMW's, Ford Escorts and of course the Stratos as mentioned. With the above in mind - I've just read this on FM.net!! There have also been changes in the “Aero and Appearance” section of the Upgrade Shop. Most cars with distinct, standalone front and rear bumpers now offer an option to remove the bumpers. For a more period-correct look, specific models receive vintage motorsport-inspired front and rear aerodynamics, and add paintable headlight covers for a race-ready look. Some muscle cars now offer aftermarket drag racing style hood options in both Pro Stock and classic cowl-induction configurations. You’ll also have the ability remove the factory rear wing or spoiler from some cars, and for the ultimate upgrade, some cars allow you to purchase OEM appearance packages available only from the factory, completely transforming the look of your car. While not every car has each of these options, the new options and features are going to open up a new world of customization options for racers, painters, and photographers to experiment with. Those with a good memory will also remember me harp on about being able to remove bumbers from some old cars. The road cars had bumbers, but many 50's-70's Motorsport versions had either smaller bumber sections or had em removed!! A step in the right direction!! aww new york gone! shocking! Will have a proper read through later. Mmmm online destruction derby, sounds good to me! !